Get L.A. Film Competition Features Short on Eagle Rock | YORK BLVD. 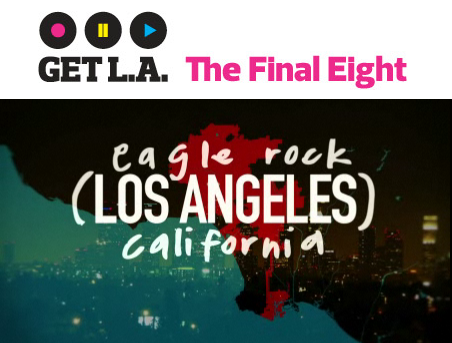 I’m not sure why the he borrowed from the Blackhawk Down soundtrack, but filmmaker Evan Mather’s short film, Eagle Rock (Los Angeles) California, has made the final 8 in Los Angeles Magazine’s Get L.A. film competition. I just wish he had chosen any taco truck other than the “Korean taco truck that visits every Tuesday night”. Misplaced hype notwithstanding, it’s a nice piece from a man who clearly loves the neighborhood. Enjoy.